This Slow Cooker Sea Veggie Soup is one of the tastiest ways to add important micronutrients to your diet! 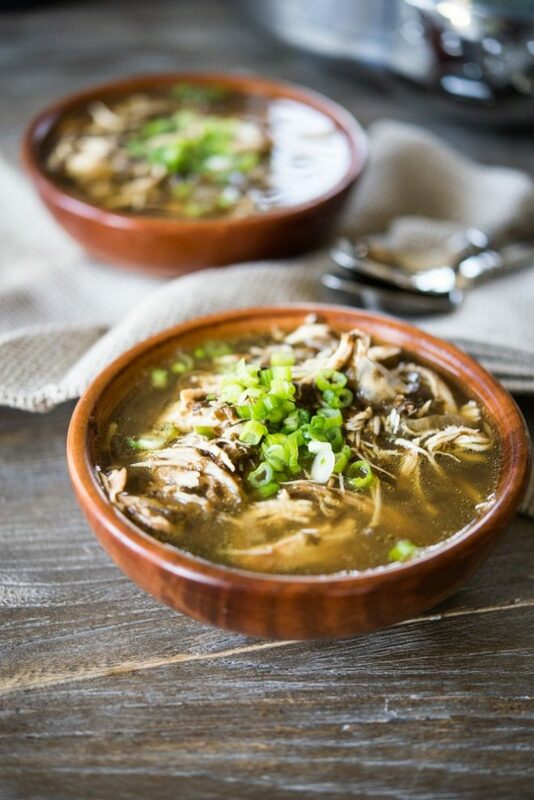 Made possible with healing bone broth and raw dulse (the sea veggie), your whole family will love this simple-to-make soup. I am SO incredibly excited to bring you this new recipe and to announce my mini partnership with Nuts.com! 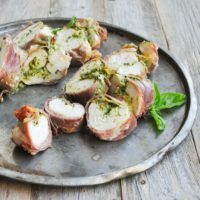 I have been a longtime customer of Nuts.com and was floored when they approached me with the idea of crafting a couple recipes to feature some of their awesome, squeaky-clean ingredients. Nuts.com is a family business (since 1929) and their customer service, quality of products, and freaky-fast delivery are always TOP NOTCH. 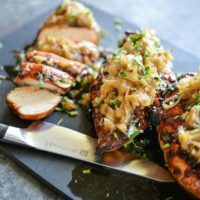 In this partnership, I'm aiming to bring you two new recipes with unique ingredients+cooking method applications that aim (as always) to support a healthy, happy YOU. First up, we have this luscious Slow Cooker Sea Veggie Soup! With a list of relatively simple ingredients, this soup is anything but simple in flavor and nutritional benefit. 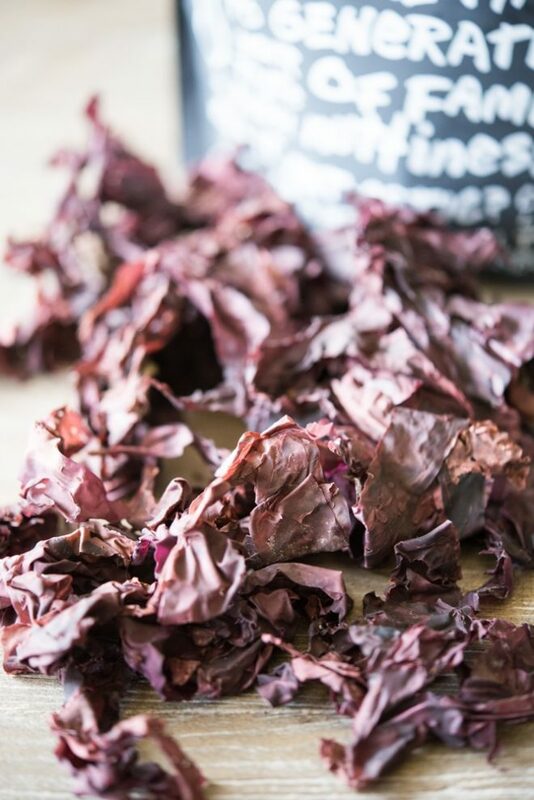 Packed with protein from shredded chicken, bright flavor from fresh lemon, and adrenal-loving minerals from the dulse (the sea veggie), this is one healthy, delicious super food. What is dulse, you ask? GOOD QUESTION. Dulse, like I mentioned above, is a vegetable of the sea. It's typically harvested off the frigged, protected Atlantic waters of Canada (especially Nova Scotia). Referred by some as the “lettuce of the sea,” this deep red-colored plant is one of the most nutrient dense vegetables on our dear Mother Earth. While relatively low in calories and protein, dulse's powerhouse status comes from a rich array of micronutrients. Several of these micronutrients could help to fill a nutritional void that many of us endure! It's packed with iodine (important for hormone synthesis +), magnesium (important for glucose synthesis +), several B-Vitamins, fiber, and the list goes on. Note: a little goes a long way. I know many of us reading this are going to think “well if dulse is good, then I'll just eat BUCKETS of the stuff!” While the iodine, magnesium, sea salt, etc. are all wonderful additions to our diet, a little goes a long way. One serving a day (as presented in this soup) will supply the necessary nutrients. Too much of anything (thinking of iodine in this example) is no bueno. SO, please enjoy moderately and if you must watch your sodium intake, stay conscious to the fact that dulse is naturally rich in high quality sea salt. 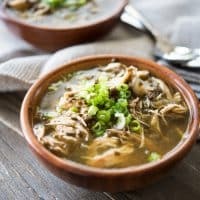 Now let's talk about this soup! 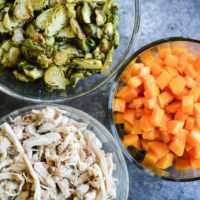 The slow cooker helps to cook this sea veggie down so that it almost has the consistency of a soft, well-cooked cabbage. It lends a wonderful flavor to the entire soup and I bet you'll find you don't need to season it much after it's finished cooking. 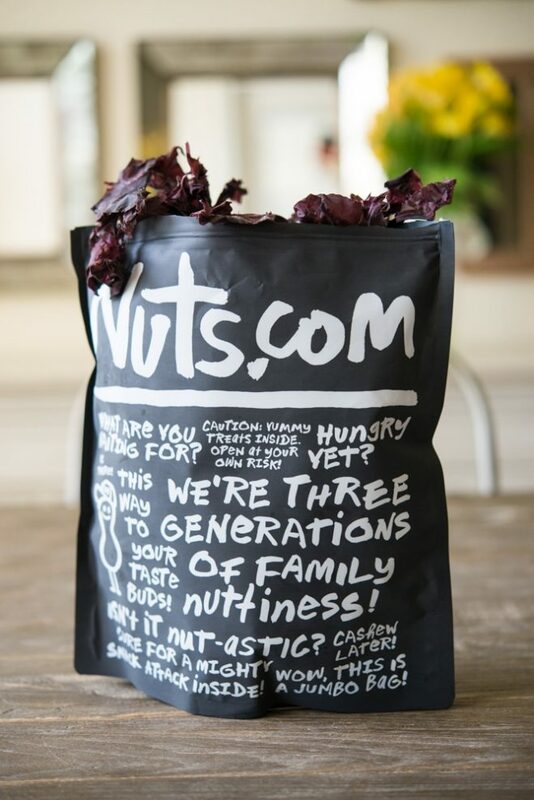 As for purchasing dulse, I do recommend grabbing a bag Nuts.com! It's extremely high-quality and one 8 ounce bag will supply enough dulse to make this large-batch soup TWICE. They ship quickly and I really do trust their product. As an added bonus, Nuts.com is even offering up a thank-you gift to Fed & Fit readers! Click HERE to place your order AND choose 4 FREE 2-3 ounce gifts! That's pretty dang nice, if you ask me. From that list, I recommend sticking to the wide variety of nuts and fruits. Using either the “stove-top-safe-rated” insert of your slow cooker *or* a large saute/frying pan, melt the butter over high heat. Dust one side of each chicken breast liberally with the salt and pepper. 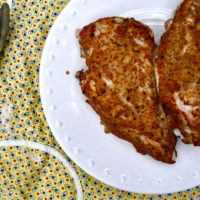 Once the butter is melted and bubbling, work in batches to place the chicken seasoned-side down and sear for 3 to 4 minutes, or until they start to form a brown crust. While cooking, season the now up-facing side and then flip over to sear for an additional 3 to 4 minutes. Transfer the now-cooked chicken to a plate and repeat for the rest of the batches (this took me about 2 batches). Transfer the chicken to the slow cooker insert and add the onion, rinsed dulse, and either broth or water. Note: add enough broth or water until the top of the ingredients are just slightly covered. Just before serving, pull the chicken breasts from the soup and add to a large bowl. 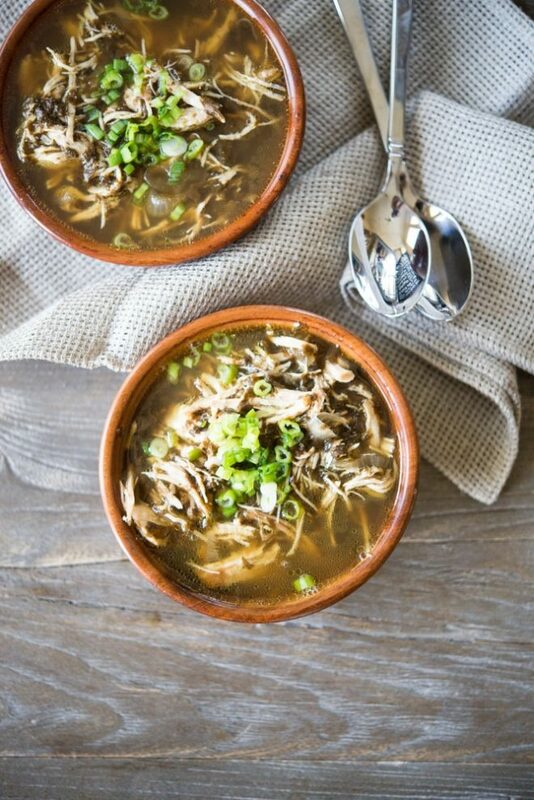 Using either a mixer or two forks, shred the chicken into smaller strips and pieces and then return to the soup. Add the fresh lemon juice, taste and season with more salt if needed, and serve in individual bowls with the green onion. Leftovers will keep refrigerated for up to 5 days or frozen for up to 5 months. To freeze, I recommend either freezing in one large batch or spooning into smaller serving-sized containers for freezing. To defrost, pop the frozen soup into an appropriately sized pot, cover, place over medium heat until simmering again. 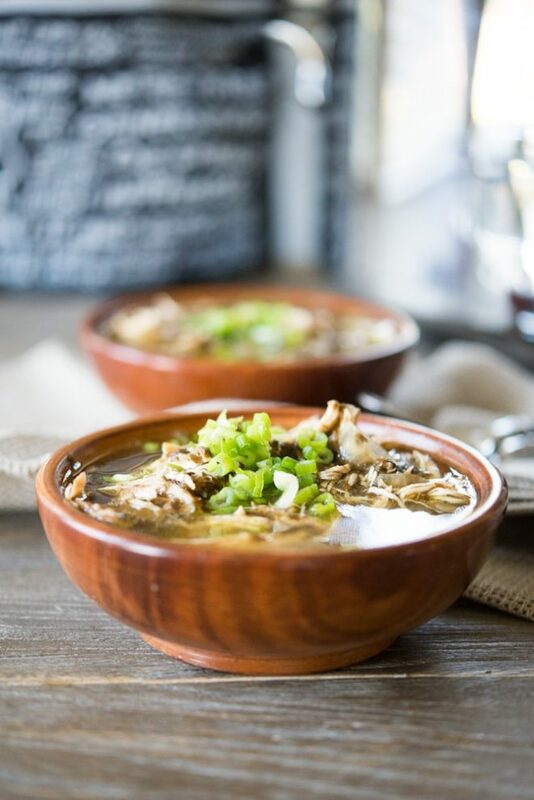 If you'd like to add a little carbohydrate to this soup, I recommend chopping up some potatoes to add to the pot or tossing in a scoop of polished rice to cook in the slow cooker!